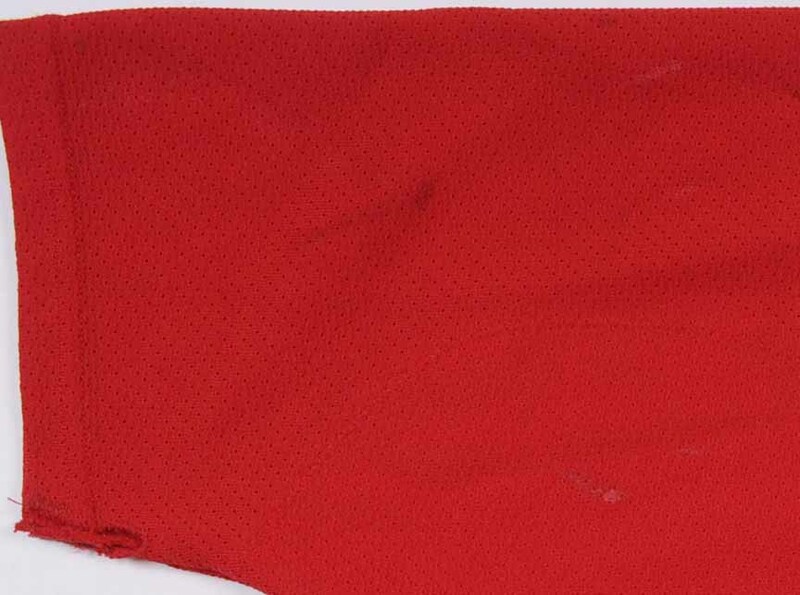 This road red air-knit gamer by Koho was worn by Sergei Fedorov during the 2001-02 Stanley Cup winning season. The Detroit Red Wings selected Fedorov in the 4th round of the 1989 NHL Entry Draft. He began his NHL career with Detroit in 1990-91 and spent his first 13 seasons with the team that drafted him. Sergei’s final 5 years were spent playing for the Ducks, Blue Jackets and Capitals. Fedorov finished his NHL career with 483 goals, 696 assists and a total of 1179 points. Just as impressive are his 176 career playoff points in 183 games played, which rank him in the upper echelon all-time in that vaunted category. Sergei has 3 Stanley Cups to his credit and other hardware in tow that includes (2) Frank J. Selke trophies as the leagues best defensive forward, a Lester B. Pearson award as the NHL’s outstanding player and a Hart trophy as the NHL’s Most Valuable Player. 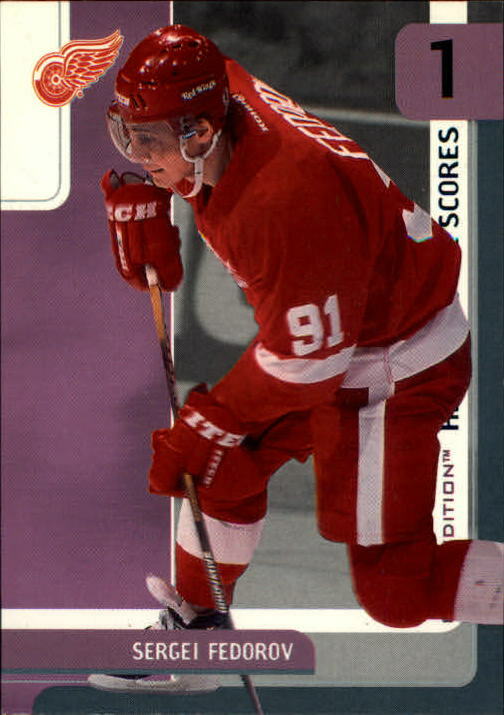 The sleeves on this gamer have been customized to Fedorov’s specs. The game wear on this 1st set size 52 sweater consists of stick and slash marks, board burns, board paint transfer and inner pilling. 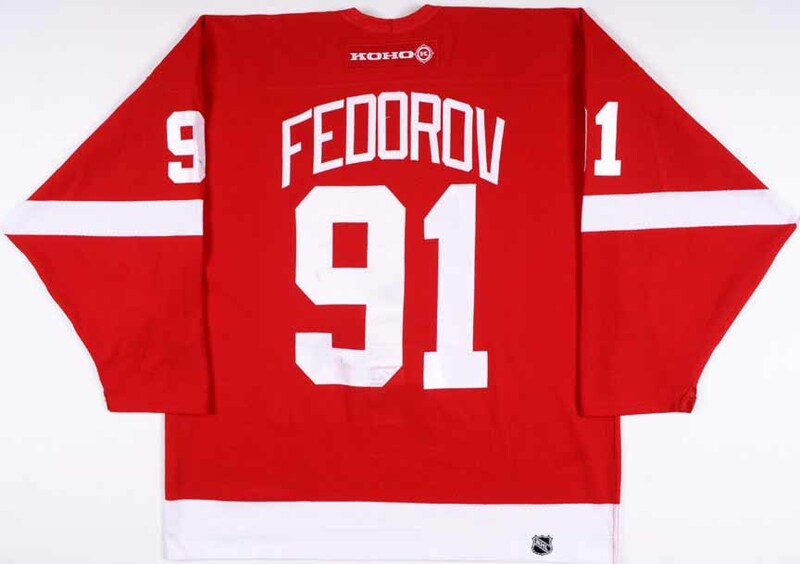 Shown above is a beautiful photo match of Fedorov wearing this exact jersey during the 2001-02 season. 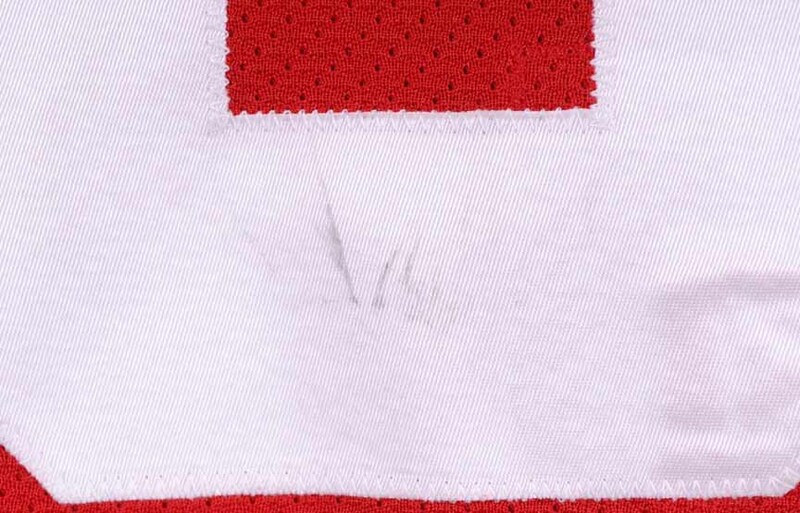 On the inside hem is the official Detroit Red Wings game worn jersey and set tagging. Superb photo matched offering from Sergei’s last Stanley Cup winning season, choice! 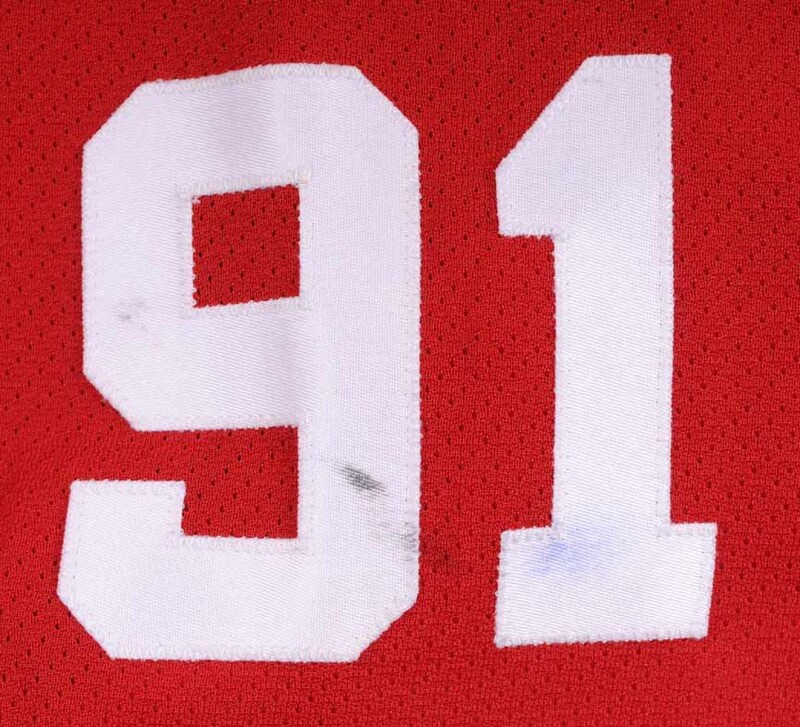 This jersey will be accompanied by a Red Wings team letter.